Planting Dates: For spring, plant seed after all danger of frost. 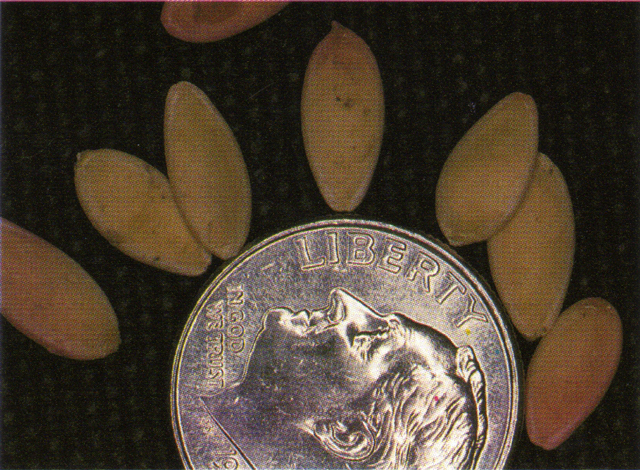 For fall, plant seed 12-14 weeks before the average first frost. In general, April 1 - April 30 and May 31 - August 15. Growth Habits: Vining plant that climbs by tendrils. Makes a good-looking decorative vine. Male and female yellow flowers. Females have swollen immature fruit behind the flower. Even moisture is important for cucumbers to prevent misshapen fruit. Culture: Cucumbers need healthy soil and excellent drainage. 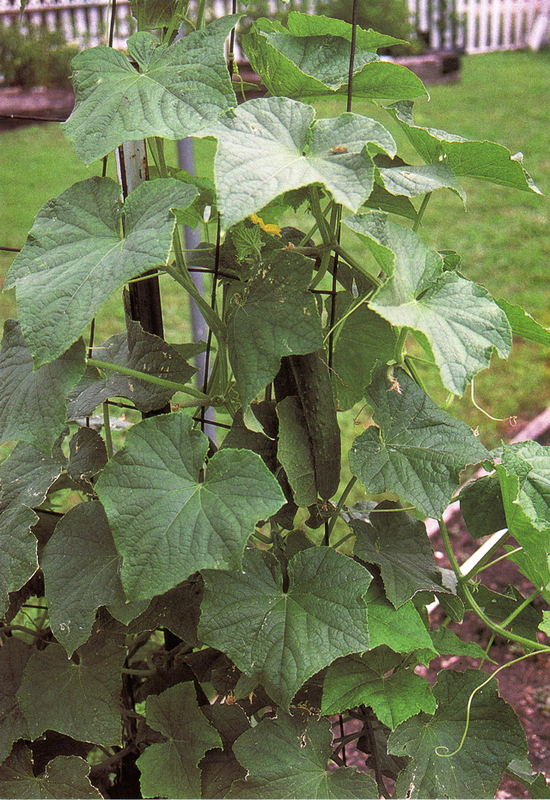 Best to grow cucumbers in cages or on trellises to save space. Start more plants than needed and then remove the excess seedings by pinching or cutting so as not to damage the others. Some gardeners hand pollinate by dabbing the pollen of male flowers onto the females. Better to encourage bees and other beneficial insects. These vine crops should be fertilized before they start to spread. At this point, they stand up straight. It’s easy to get the fertilizer close to the plants where the main roots are. Use a half handful of organic fertilizer per plant. Troubles and Solutions: Poor flavor is caused by too much soil moisture and/or not available trace minerals in the soil. Powdery mildew is controlled with Garrett Juice and additives. Moisture stress causes misshapen cucumbers. Control leaf miners, aphids, squash bugs, and cucumber beetles with healthy plants and regular foliar feeding with Garrett Juice. Spray heavy infestations with Garlic/pepper or citrus oil based products. Harvest and Storage: Plan to get 8-12 cucumbers per plant. Harvest when the fruit is the desired size, and if not eaten right away store in a cool place. Small fruit are more tender than larger ones. Will keep 2-4 weeks. Notes: Yield will definitely be reduced if mature fruit is left on the vine too long. Pickling cucumbers are generally a little lighter green and rougher in texture.